Best news of all: no impacts to traffic are anticipated for the minor work that remains. Crews will raise the manhole lids up to grade in and near the intersection of Highways 28 and 267 very early Wednesday morning (beginning at 3:30 a.m.) to avoid impacts to traffic. One additional speed hump on Chipmunk will be completed before the end of next week. Over the next two weeks, the stone seat walls will be constructed and trash bins installed. Planting bed areas and irrigation will also be completed, however the actual plantings will be postponed until next spring. Over the next two weeks, crews will continue to adjust manhole covers in the grid to match new pavement completed earlier in the season. 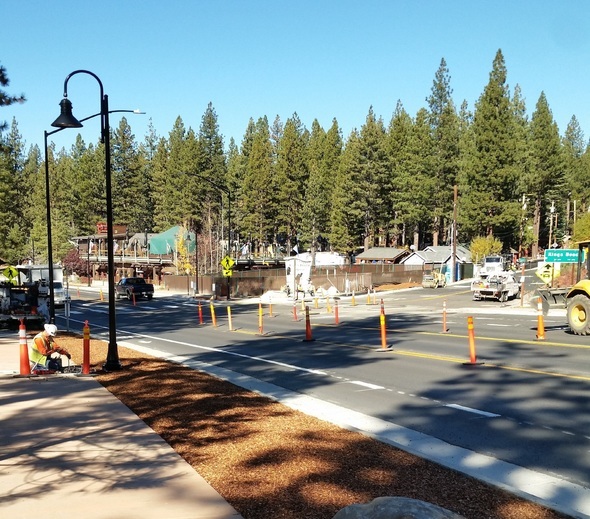 This work will be done on Rainbow Ave. and Fox Salmon and Beaver streets. A small crew will be doing minor shoulder backing work at various overlay locations on Rainbow, Fox, Salmon and Dolly Varden streets. Minor punch list and adjustment work throughout the project will be ongoing over the next two weeks. We anticipate that all work activities will be completely wrapped up within two weeks. The contractor will de-mobilize and vacate the Fox St. yard by the end of the month. The county will continue to provide both summer and winter maintenance activities (funded through the Benefit Assessment District fees paid by area property owners). 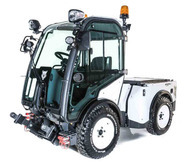 On that note, you may see a new maintenance machine out on the sidewalks this winter, which we are renting with the thought of possibly purchasing if it’s as effective as we hope. We will also be monitoring the improvement closely to make sure they function as intended. If you see anything that you feel we should know about, please call us right away. We want to thank you all for your patience during these last few, very busy summers, as we worked hard to get our improvements complete. We’re almost there! Click here to sign up for emergency alerts.